Many people have messaged me, confused about where to get started with testing. Just like everything else in software, we work hard to build abstractions to make our jobs easier. But that amount of abstraction evolves over time, until the only ones who really understand it are the ones who built the abstraction in the first place. 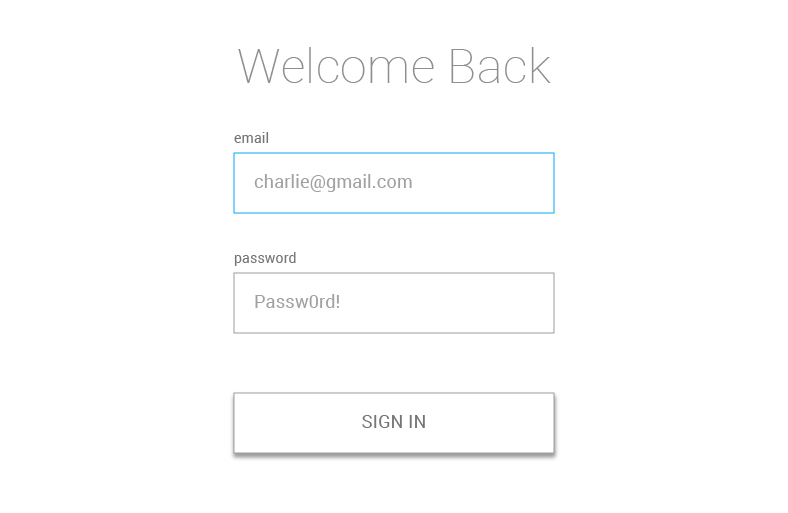 Everyone else is left with taking the terms, APIs, and tools at face value and struggling to make things work. One thing I believe about abstraction in code is that the abstraction is not magic — it’s code. Another I thing I believe about abstraction in code is that it’s easier to learn by doing. Could you rattle off definitions for that budding engineer? Can you explain the difference between an assertion library and a testing framework? Or, are they easier for you to identify than explain? Here’s the point. The better you understand these terms and abstractions, the more effective you will be at teaching them. And if you can teach them, you’ll be more effective at using them, too. Enter a teach-an-engineer-to-fish moment. Did you know that you can write your own assertion library and testing framework? We often think of these abstractions as beyond our capabilities, but they’re not. Each of the popular assertion libraries and frameworks started with a single line of code, followed by another and then another. 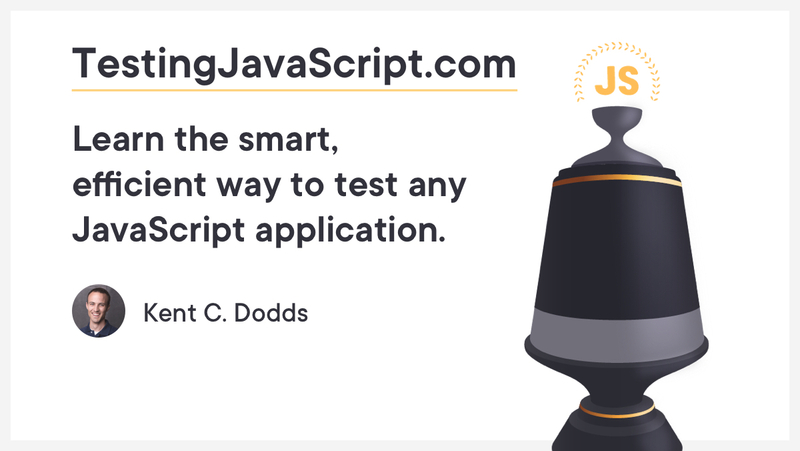 You don’t need any tools to write a simple test. Terminal window showing an error indicating -4 is not equal to 10. Terminal window showing that we ran our test script and no errors were logged. Fantastic! The script exited without an error, so we know that the sum function is working. This is the essence of a testing framework. There’s a lot more to it (e.g. nicer error messages, better assertions, etc. ), but this is a good starting point to understand the foundations. Once you understand how the abstractions work at a fundamental level, you’ll probably want to use them because, hey, you just learned to fish and now you can go fishing. And we have some pretty phenomenal fishing polls, uh, tools available to us. 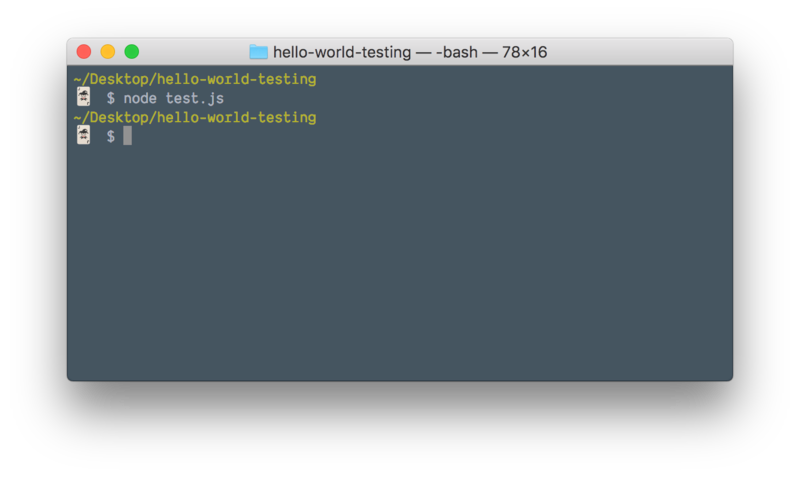 My favorite is the Jest testing platform. 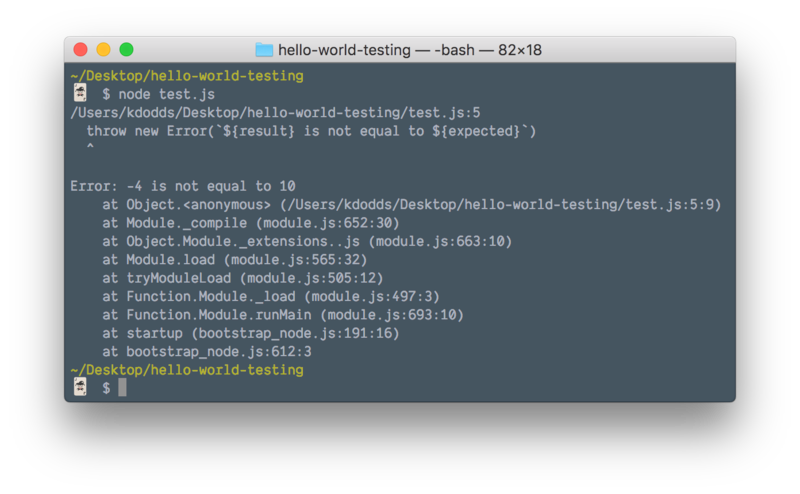 It’s amazingly capable, fully featured and allows me to write tests that give me the confidence I need to not break things as I change code. The early bird sale is going on right now! 40% off every tier! The sale is going away in the next few days so grab this ASAP! P.S. Give this a try: Tweet what’s the difference between a testing framework and an assertion library? In my course, I’ll not only explain it, we’ll build our own!